Item #797-0 is genuine Pitney Bowes postage meter ink to be used in the K700/K705 mailstation postage meters. Pitney Bowes supplies are designed and tested within their respective postage meters. One red ink cartridge will yield up to 500-700 impressions or 3-4 months. The 797-0 cartridge does not prematurely dry up. High print quality is assured each time. Our mailstation postage meters and red ink have been approved by the Canada Post. Our meter ink fully meets all Canada Post requirements. 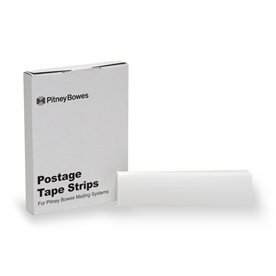 We recommend the use of only genuine Pitney Bowes supply products within our line products.